It’s all very well having a beautifully designed, highly functional website, but it’s wasted if nobody gets to see it. With the ever growing volume of websites in existence, competition to appear on popular search engines, such as Google is increasing rapidly, and most companies need to take action to ensure that their website is visible to prospective visitors. 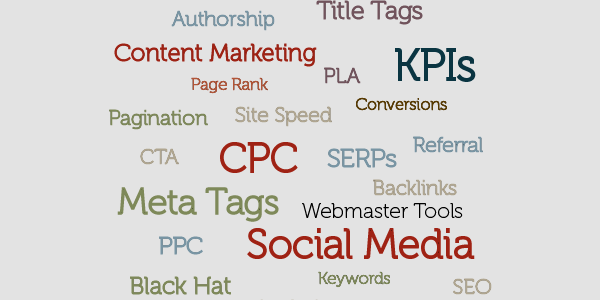 This is where Search Engine Optimisation (SEO) comes into play, which to the uninitiated can seem overwhelming. But once you grasp the basic idea, the buzzwords and acronyms (marketeers love a good acronym) shouldn’t be quite so intimidating. Imagine having a fantastic shop front, with a beautiful window display, but you’re located at the far end of the high street, a substantial distance from the main car park. In order to get to you, your customers have to walk past a host of other shop fronts, all with their own equally enticing displays. Now imagine that each of these shops is selling the same products as you are. The car park represents the Search Engine, such as Google; the High Street is the Search Engine Results Page (SERP), and the other shops are the other links that appear on the results page. So clearly you want your shop right smack-bang, next to the multi-storey that is Google, i.e. top result on the SERP. The goal of SEO is to get you there, to move your shop closer to the car park. However, you can’t just pick up a whole shop and drop it where you like, moving a business takes time, planning, and effort. Remember that all the shops between the car park and you are trying to get themselves to that prime bit of real estate, and the store that currently holds that position is doing all they can to ensure they keep it. There are dastardly, underhanded ways of moving along, such as hiring someone to mercilessly flyer your business in the car park, directing people to your store through back alleys and short cuts. However, the owners of the car park prohibit over-use flyering on their land, and if you’re caught, you will be penalised. 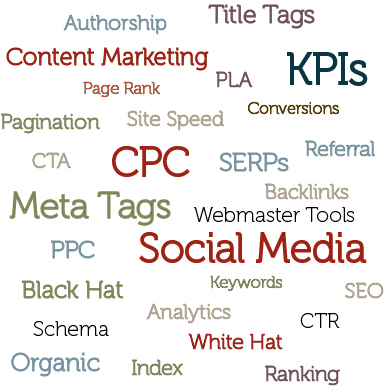 In SEO terms, this is the equivalent of keyword-stuffing or building spam-links, and is known as black-hat SEO. If you’re not sure whether a company is legit, here’s a great post from SEO AJ Kohn on how to spot a Shady SEO. You could also pay the car park to provide a shuttle service to take customers from the car park right to your door. This would be the equivalent of PPC (pay per click) or paid advertising. While effective, it can get costly pretty fast, and you’re also not the only business prepared to pay for a shuttle bus. Not to mention making your bus the most enticing, so shoppers actually embark and merrily head to your store. In order to successfully move your business towards the car park, you need the help of the townsfolk. You need them to talk about you and tell their friends about you, thereby making a name for yourself in the town. And you do this by giving them interesting things to talk about, additional reasons to visit your store. Let’s illustrate this with an example: perhaps you are a clothes retailer; you might put on a fashion show, in your store, showcasing designs from a local fashion college. Currently, you’re pretty far from the car park, so say only 5 people then come to your first event. These visitors might not buy anything, or even consider it, but don’t be disheartened, the point is that they know about you now. Now let’s say each of them then goes home and tells 3 of their friends about the amazing fashion show they went to, and invite them along with them to the next one. So at your next event, you have 20 people, and at the next, 75, until eventually you have a crowd of hundreds attending your events, and the council decides that your store is too popular and important to be this far from the car park and agrees to move you closer. This scenario deals with the generation of content on your website. Notice how the content is relevant to what you do, it makes sense for a clothes store to host a fashion show, it would be bizarre if you held, say, a movie night as it has no bearing on who you are. Why would I go to a clothes store to watch a movie? A DVD store on the other hand, absolutely. Additionally, the people who would attend a fashion show will be people who have some inherent form of interest in fashion, and the friends they tell about it will also be fans of all things fabric. This means the following you build, are people who are more likely to convert and become customers. It’s also important to note that you’re not showcasing your own products, this would be shameless and transparent, essentially the equivalent of shoving your merchandise in the faces of your clientele, which nobody wants…unless maybe you sell doughnuts. The act of your visitors going home and telling their friends about it, parallels a Share on Facebook, a link on a blog, or a Mention in a Tweet. They are signals that show Search Engines that what you are sharing is worthwhile, interesting and engaging, and ultimately it is the goal of engines such as Google to show its users results that it thinks they will want to see. There are, of course, other elements to consider to fine tune the process. For example, your store should be easy to navigate, clearly showing your shoppers where to find shoes and where to look for jackets. Imagine going to a supermarket without the big signs over the aisles! Nightmare. This is the same with websites, no one wants to spend time trawling through irrelevant pages just to find the one thing they were looking for. Back in the days of dial-up we were used to waiting 15 hours for a tiny thumbnail to load, and we all ooed and aahed and the wonders of the modern world. Now though, we have forgotten those times and we want the information in a matter of seconds. Raise your hand if you’ve ever clicked the back button because a site was taking more than 7 seconds to load. Exactly. But back in the day you would click on a link and go put the kettle on while the page was dredged up. Returning to the shop metaphor, it would be as if the product your consumer was looking were located on the 5 floor and lift is broken. So hopefully I’m illustrating the point that there are a lot of factors that go in to successful SEO that I haven’t even touched on here, and it is not something you can simply turn on and your business will increase within moments. It is an arduous, on going task that requires dedication and skill. But through trial and error, patience and a pinch of creativity, the bell above your shop door should start chiming more and more. This is, of course, all very well. But you are running a shop, you don’t have time to organize and pull off a successful fashion show, let alone repeat it regularly. The generation of content is often overlooked as a desirable possibility, but one that inevitably moves to the back burner as other priorities take over. There are hundreds, if not thousands, of businesses who have the best intentions in the world to start a blog and get involved in social media, but whose last post was March 2012. I worked on one whose only blog post simply read: “Blog Test”. If this sounds like you, then no doubt you are bombarded with emails from SEO companies claiming to move your shop from the far end of the high street to car park adjacent in a matter of weeks. The likelihood is that these people are from companies with a strong history of car park flyering, or they will put on one or two mediocre fashion shows and charge an extortionate amount for the privilege. With SEO being a comparably young profession, it is one that is saturated by weak companies offering quick fixes, enticing results with a small price tag. Couple this with a market that potentially doesn’t understand what they need, and you have a recipe for disaster. There are many companies, predominantly small businesses, that are now having to compete in the online arena having never done so before. These are the ones who are most at risk of being taken advantage of by less than reputable SEO services, and sadly, the ones who need the most help. So, to close, my advice to you is this: Be patient. Don’t just go with the company that offers the fastest results. The likelihood is they are already printing the dodgy car park flyers. Research. There are a plenty of firms out there, get quotes from several, and more importantly ask them about their methods and for previous results and timescales. Ask the Experts. Have a look for some forums that relate to SEO and ask people’s advice. On Google+ there are plenty of Communities that are moderated by successful and reputable SEOs who are more than happy to give advice. In fact, I have a Circle on my Google+ that is entirely other SEOs, and I’m more than happy to share that circle with whoever wants it. Be patient again. It can be frustrating not to see results immediately, but remember, it takes time to relocate a store.